Poka helps workers learn more effectively, and address the common challenges many companies face today. Back in 2011 when I was working on a master’s degree in instructional design, I was asked to define my educational philosophy — a statement that summarizes the approach I would take when designing training for adult learners. How do you help employees to learn without disrupting their productivity? How do you shorten the instruction time to learn a new job or task? How do you increase information retention and knowledge transfer? How do you motivate employees to continuously learn and develop new or mastery level skills? In short, how do you quickly turn learning into knowledge and performance? 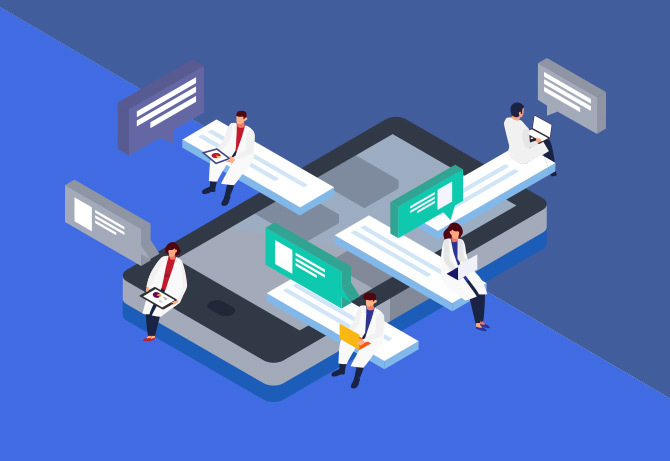 Fast-forward to today and I am now working with Poka, a company that has developed a manufacturing training app that incorporates many learning best practices that addresses these key questions and more. In this article, I explain why the following three guiding principles are critical for ensuring effective manufacturing training, and how Poka supports them. “Immediate, active use of learning is clearly the best means of retaining information”, according to David A. Sousa, an educational researcher, consultant and author of dozens of books on how the brain works. On-the-floor shadowing clearly supports this learning best practice, but so do other approaches, such as self-paced, autonomous learning that occurs “in the flow” at the precise moment and location that a worker needs to develop the new skill. This type of learning, often referred to as “just-in-time learning”, “situated learning” and “authentic learning” has many other benefits beyond just information retention. When learning is embedded in doing, it’s more timely, contextual, and rewarding, leading to more effective manufacturing training. 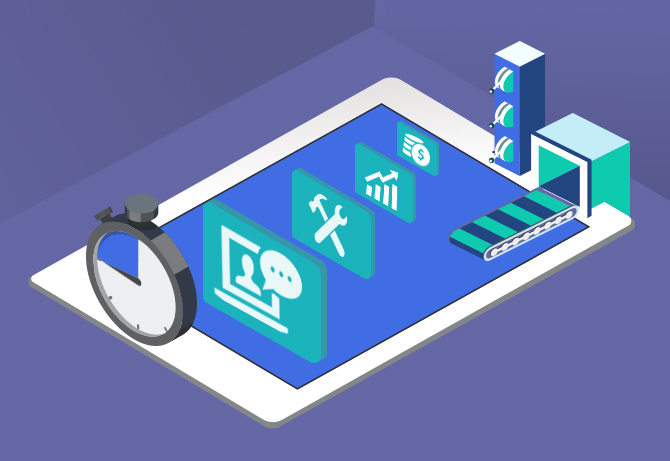 More timely: Learning is integrated into the worker’s daily routine to deliver training and instructions when and where workers need it, thereby minimizing disruption and increasing productivity. More contextual: Learning takes place in context in the worker’s environment, making the information easier to understand and apply, thereby accelerating the time to turn information into actual knowledge. More rewarding: Because workers are completing real tasks and accomplishing specific goals, they see the immediate impact of their efforts, leading to a more meaningful and rewarding experience. Together, these contribute to transforming learning into productivity and boosting the worker’s confidence in their abilities, which then motivates them to continue learning because they believe they will succeed. Each workstation is equipped with an tablet containing Poka . When a new worker needs to be trained or needs a refresher on how to perform a task, or if an existing operator needs to master a new skill, they use Poka to access all available manuals, work instructions, videos, photos and other information directly at their workstation. Workers can then follow a comprehensive training program built around a skill, or quickly find detailed step by step instructions for a specific task. 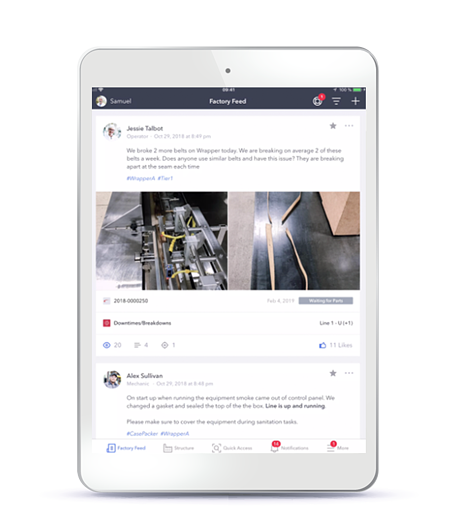 One of the most effective ways to transform your manufacturing operations into a learning and support organization is to create an online community of practice where workers can share knowledge, experiences and solutions with one another in real time. Poka goes beyond just delivering manufacturing training. Its live “factory feed” keeps operators connected with supervisors, maintenance, peers and other departments at all times, while serving as a “digital logbook” and permanent system of record. 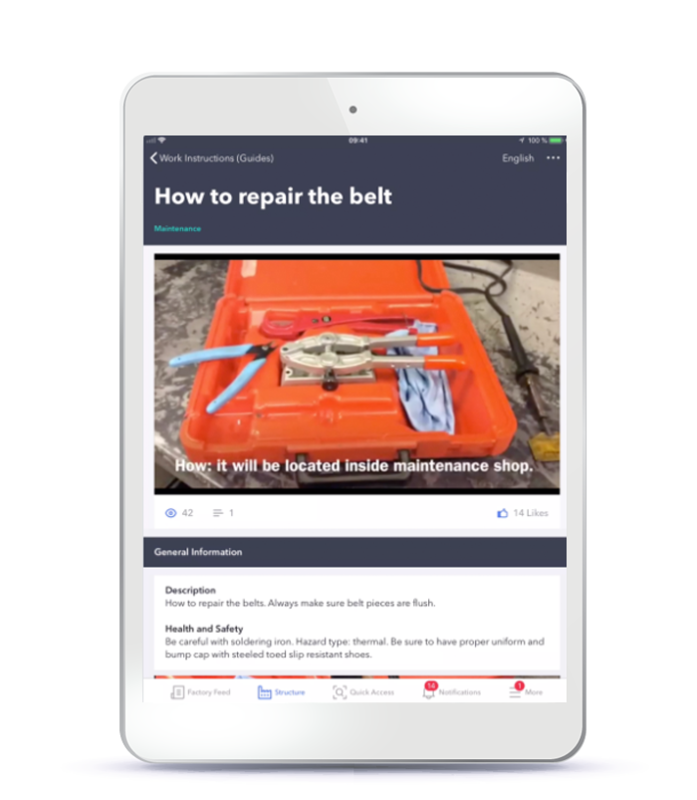 If a worker has a question about how to operate their equipment or complete a task, or is experiencing a problem with their equipment, they can easily search the knowledge base to see how others resolved a problem. If operators can’t find the information they are looking for, they can use the factory feed to put out a call for help. This enables designated equipment experts across the manufacturer’s global operations to respond at any time of the day and from any location, whether at the plant or at home. The factory feed also inspires workers to contribute their ideas for continuous improvement because their suggestions are captured and displayed for everyone to see and enables a mechanism for instant feedback. The next important consideration to ensure effective manufacturing training is how to best present information so that it helps facilitate mental processing and comprehension. The problem with traditional manufacturing training, whether it be in the classroom or on-the-floor shadowing, is that it overloads workers with information. After all, if we are going to take workers or supervisors away from their jobs, we better make sure that training is comprehensive and worth disrupting everyone’s productivity, right? Breaking up learning into micro-lessons where tasks are presented as manageable steps helps workers to focus their attention and complete each task, while reducing performance anxiety and boosting confidence. 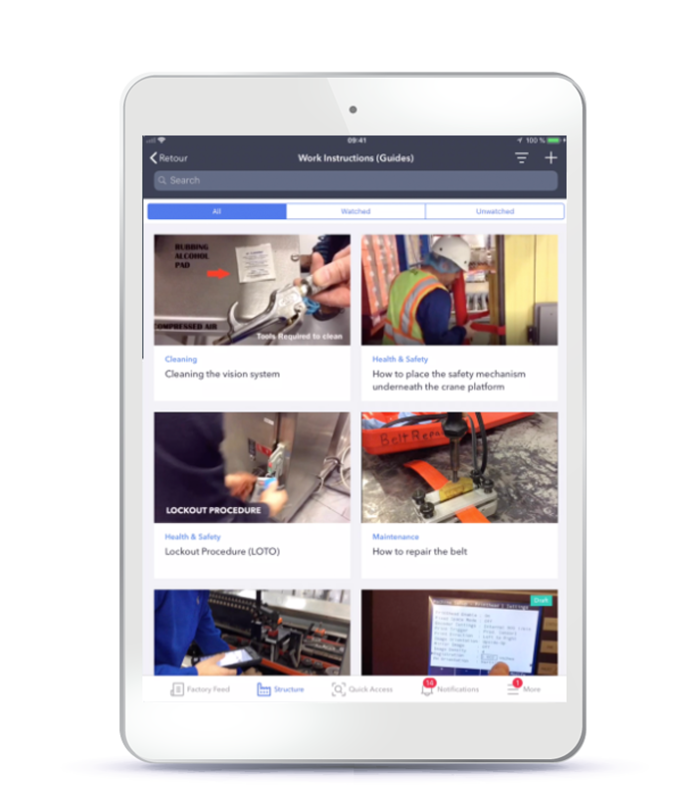 Poka enables workers to access training manuals and instructions in text, video and image formats. Training manuals can be broken down into multiple topics to create one-point lessons and support micro-learning. Workers can then access the micro-lessons in chronological order, or quickly jump to the exact lesson they need. Another side benefit of using photos and video to train is that it is easier to produce. One Poka customer has reported that producing training content now takes half the time of traditional written instructions. In a digital Poka factory, supervisors and workers can use tablets to take a photo or record a video when a problem arises. Then, when a resolution is found, the content is available to become a troubleshooting solution or a new standard work procedure. Manufacturing Training Can Equal Performance, If Done Right! Never before have manufacturers had so many options available to them to effectively train workers, while creating a learning organization that supports on-going skills development, collaborative knowledge building and continuous improvement. 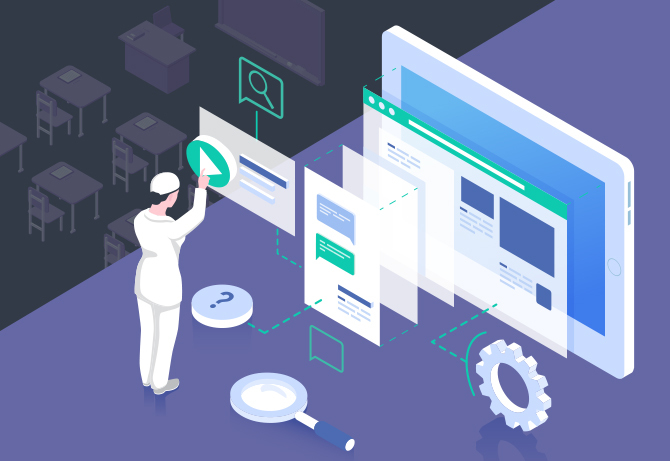 Technologies, like Poka, incorporate best practices in learning and online communities of practice directly into the application, so all that manufacturers have to do is upload their existing training content and work instructions, and then easily add new content in a variety of formats when available. So whether manufacturers are looking to support on-the-floor shadowing, or enable workers to learn completely autonomously at their own pace, workers no longer have to leave their stations. They can learn on the job when and where they need to for a more timely, contextual and rewarding experience that accelerates comprehension, information retention and knowledge transfer, and drives higher performance. Gordana Stok is a B2B technology marketer and researcher with a deep understanding of the buyer journey. Gordana has interviewed nearly 500 senior business and IT executives at some of the world’s largest brands about their buying decisions for a wide range of complex technology solutions (SaaS, software, hardware).